Texan Blue Pool Service works with all brands of filters from Diatomaceous Earth Filters (also called DE Filters) to Cartridge and Sand. Filters are vital in keeping your Fort Worth pool at its cleanest. In order to find what filter is right for you, you might want to familiarize yourself with the different types. DE filters use diatomaceous earth to filter debris. DE is basically crushed sea shells and is not harmful to the environment in any way. DE filters use grids, together with diatomaceous earth to filter the pool water. With this type of filter, following the manufacturers recommended maintenance plan, backwashing and recharging once every 2 weeks, you should only have to clean this type filter once every 6 months. Cartridge filters require a little more cleaning maintenance, with a typical cleaning once every 3 to 4 months. Cartridge filters use 4 round paper like filters to clean debris from the pool water. Unlike DE filters, you can not backwash a cartridge filter. When debris becomes trapped in the filter there is nowhere for it to go, and more and more debris begins to build up and starts to cause poor water circulation, straining your pump and eventually causing issues with your water chemistry. Sand filters use sand to filter the pool water, and like DE filters, you can backwash this type filter. 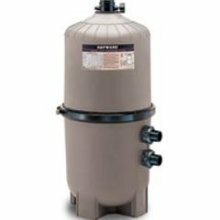 Sand filters can go the longest time between filter cleans, typically every 4 to 5 years between cleanings, but are the most expensive to clean and maintain. Whatever your filtering system, Texan Blue Pool Service is prepared to repair, install, service or maintain any Hayward, Pentair, Jandy or Sta-Rite filter you may have, wherever you are in the Fort Worth area. In order to keep your pool looking sparkling clean, a working pool filter is a must. However, sometimes your Fort Worth pool filtration system might experience reduced water flow, sand or DE entering the pool, air pressure build-up or even inadequate filtering. These symptoms may be indicative of a bigger, unseen problem, so if your filter is in need of repair or replacing, contact Texan Blue Pool Service. We’ll send one of our carefully trained Fort Worth technicians to inspect your filter, assess the problem and get your pool filter working again in no time. We work with Hayward, Pentair, Jandy and Sta-Rite filters using DE, sand or cartridge systems throughout the Fort Worth area. We know that you can’t enjoy your pool without a top-notch pool filter. 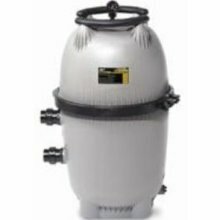 If you are looking to install a Hayward, Pentair, Jandy or Sta-Rite filter using a DE, sand or cartridge system in the Fort Worth, Texas area, then look no further, Texan Blue Pool Service will send out an experienced technician to install the filter system of your choice and have you and your family enjoying your pool in no time! When it comes to pool filters, there are two services: cleaning and replacement. To help your Fort Worth pool remain cleaner and trouble free longer, Texan Blue Pool Service offers filter cleaning. When you call for a filter clean for your Fort Worth pool, our technician will clean and inspect the filter from top to bottom. If you have a DE filter, our technician will inspect the grids for holes, tears, damage and frame break down. If you have a CARTIDGE filter, our technician will check all bands to make sure they are still intact and check for cracks on top and bottom of cartridges. In addition they will also rinse all debris off cartridges and grids, inspect the filter housing for any visible cracks, check the spreader plate for cracks, inspect the manifold, stand pipe, filter clamp, pressure gauge and all other O-rings for tears and warping to make sure you get the best performance possible for your Fort Worth pool. While the technician is on site, he will also perform a visual inspection of your equipment and advise you on any issues that need your attention, (a $95 dollar value). So, if you notice poor flow or your pool just isn’t looking like it used to, then give us a call! We’re your Fort Worth pool filter specialists! In order to ensure your safety, Texan Blue Pool Service offers equipment check-ups, including ones for your Fort Worth pool filter. This is vital to making sure your filter keeps working at its best and keeps your swimming environment safe, comfortable and healthy. Made to last long in all weather conditions, Hayward pool filters set the industry standard for value and dependence. Pentair knows that the best pools are clean pools and has aimed to keep pools inviting with their top-notch cartridge, DE and sand filters. 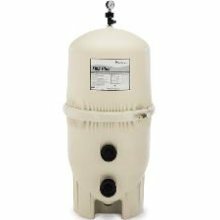 Filter maintenance can be a pain, but luckily Jandy builds filters that are not only capable of getting rid of debris, but also are one of the easiest brands to maintain. Sta-Rite has been a leading water and pool product company since its founding 1937. Today, they continue to make top-rated pool filters to keep your pools looking fresh. 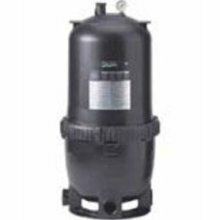 If you are looking at different Fort Worth pool filters, you might also want to know about the two types of backwash pool filter valves: the rotary valve and the piston valve. These backwash valves help redirect the flow of water in case of particles getting trapped into the filter. This prevents lowering the efficiency of your Fort Worth filter. A rotary valve has a lever that the user rotates to a proper position and select the desired filter function. The piston valve has a piston which can be lowered or raised to pick the needed filter function. In order to help your Fort Worth filter continue to run smoothly, you might also want to become familiar with the different backwash valve positions: filter, backwash, closed, drain, recirculate, rinse and drain. The filter position circulates and purifies the water. This is the default setting. The backwash position flushes out trapped particles in the filter. The closed position blocks the flow of water. Be sure to never have the water pump on when the filter is in this position. The recirculate position does not filter the water, but keeps circulating it. The rinse position helps you clean the filter. Finally, the drain position suctions water from the pool and directs it to a waste line so it does not return to the swimming pool. For more information on salt systems, you can call Texan Blue Pool Service, we’re happy to answer any questions you might have or check one of the web links below.